DON'T LET IT RUN YOU! 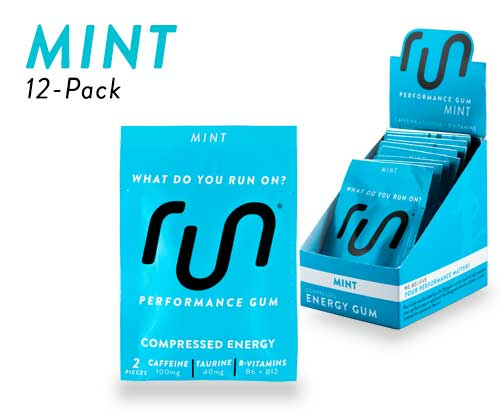 Energy Boosting Gum To Help You Maximize Your Workout....Your Day. YOU WILL HAVE THE ENERGY NEEDED TO RUN THE DAY. Have a quick boost of energy when you need it the most. 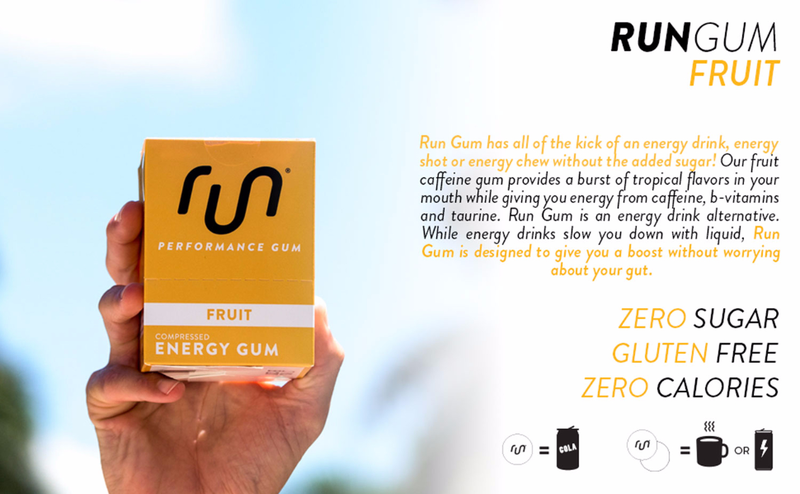 Run Gum allows you to have a quick, convenient energy boost whether you are running a marathon, running a meeting or running the kids around. Caffeine is consumed by 90% of Americans and 75% of athletes competing in international events. 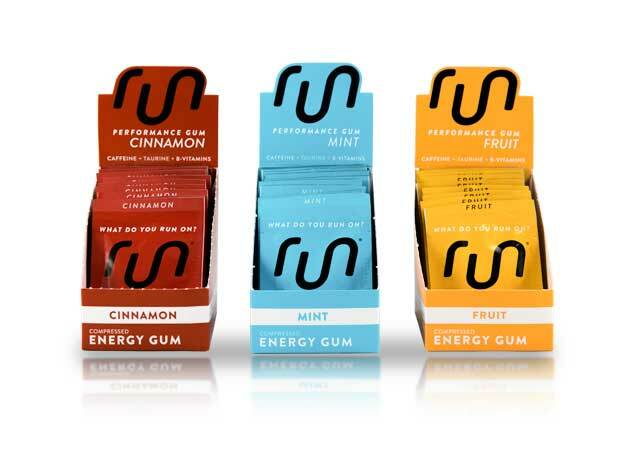 The act of chewing gum can significantly increase alertness, help reaction time and increase the speed of processing new information. 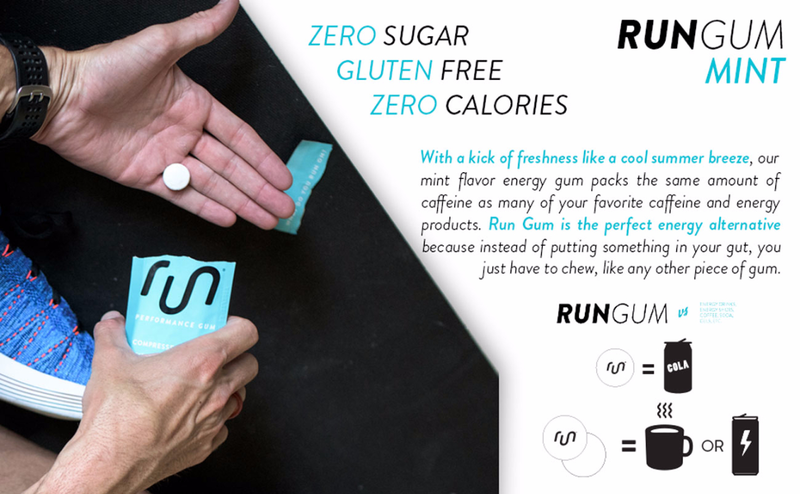 Two (2) pieces of Run Gum have the same amount of caffeine as a cup of coffee or energy drink. 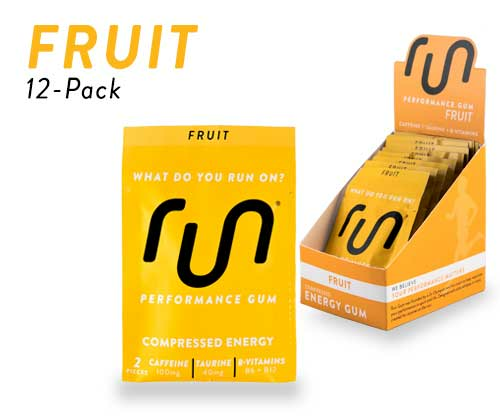 Run Gum is used by hard working individuals and athletes of all levels, including Olympic athletes, firefighters, NFL players, the military, students and more. 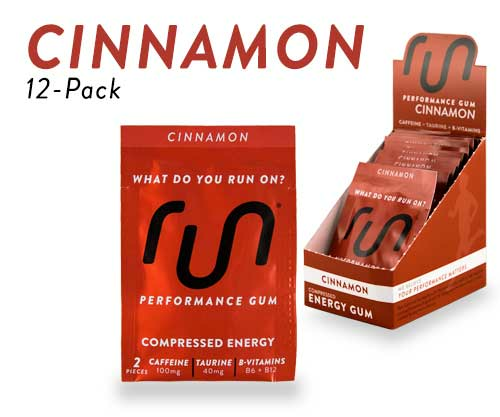 Perfect for maximizing your performance during your workout, getting through the afternoon slump, study sessions and those late night drives. 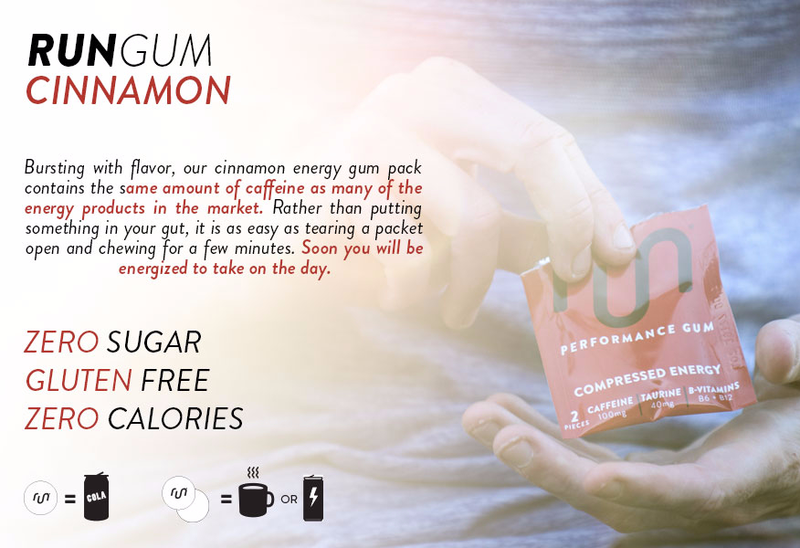 MADE IN THE USA: Manufactured, packaged and shipped out of the USA with 50mg of caffeine per piece.